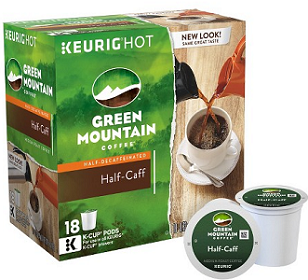 To get a FREE Green Mountain K-Cup Pod Sample click where it says “try a sample”. Nature’s Harvest Bread, Only $0.79 at Target! Ella’s Kitchen Baby Food, Only $0.20 at Walmart! Luvs Diapers, Only $2.97 at Walmart! Half Priced Burger at Sonic Today!!! Moneymaker Sweet Earth Burrito at Target! Pure Silk Shave Cream, Only $0.49 at CVS! So Delicious Ice Cream, Only $1.01 at Target! Scope Mouthwash, Only $0.04 at CVS! $1.08 Moneymaker Covergirl Powder at Target! Doritos, Only $1.63 at Walgreens! Free Purina Dog Chow at Target! Chobani Flip Greek Yogurt, Only $0.85 at Walmart! Wet Ones Hand Wipes, Only $0.40 at Target! Kraft Barbecue Sauce, Only $0.50 at Target! Luna Bars, Only $0.38 at Walmart! Ritz Crackers, Only $0.33 at Target! Brach’s Maple Nuts, Only $0.25 at Dollar General! Bic Multi-Purpose Lighter, Only $0.55 at Walmart! Knorr Pasta Sides, Only $0.60 at Target! KeVita Drink, Only $0.50 at Target! L’Oreal Advanced Haircare, Only $0.99 at CVS! Fiji Water, Only $0.79 at Target! Vlasic Pickles, Only $1.50 at Target! Starbucks Iced Coffee, Only $0.50 at Walmart! OFF! Repellent, Only $1.99 at Walgreens! Huggies Little Swimmers, $5.97 at Walmart! Garnier Olia Hair Color, Only $3.49 at Target! Bonne Maman Preserves, Only $0.09 at Rite Aid! Centrum VitaMints, Only $2.74 at Rite Aid! Hidden Valley Ranch, Only $0.50 at Target! Bic Multi-Purpose Lighter, Only $0.55 at Target! PowerBars, Only $0.50 at Rite Aid! Minute Maid Lemonade, Only $1.24 at Target!